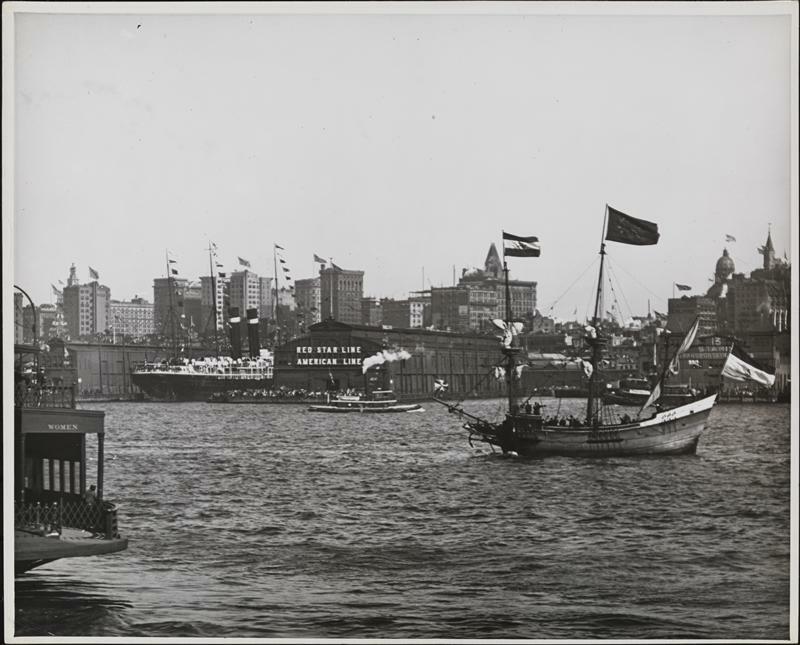 PODCAST REWIND We turn the clock back to the very beginnings of New York history — to the European discovery of Mannahatta and the voyages of Henry Hudson. For this and our older episodes (Episodes #5-#81), subscribe to The Bowery Boys: NYC History Archive feed, on iTunes, directly from our host page, or directly via our RSS feed. For the images associated with the original blog post, click here. 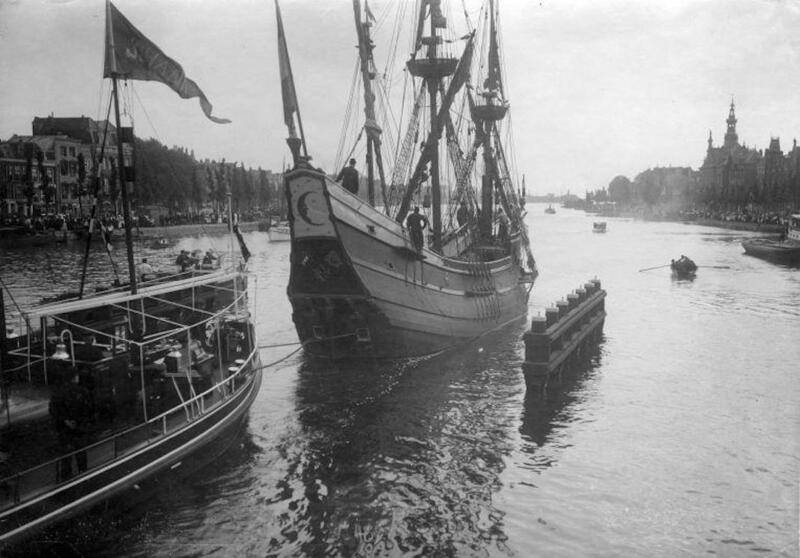 A replica of Henry Hudson’s De Halve Maan (Half Moon) departing the Netherlands for New York Harbor for the Hudson-Fulton Celebration of 1909. 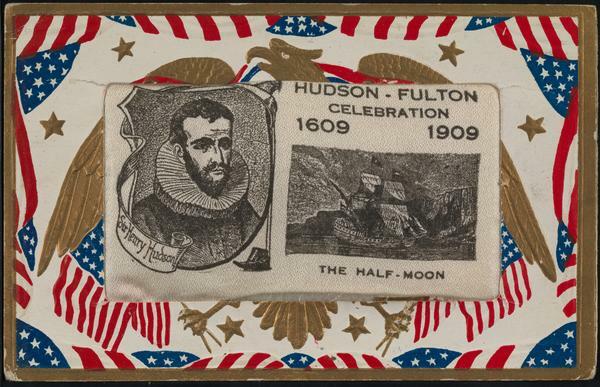 A postcard commemorating the Hudson-Fulton Celebration. Read my article from 2009 (on the anniversary of the festival) for more information.